The Medina, Ohio man accused of impersonating a boy missing since 2011 appeared in federal court on Tuesday, WJW-TV reports. 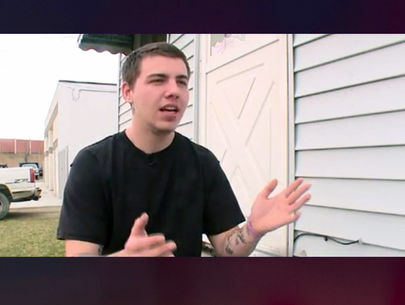 Brian Rini, 23, is charged with lying to federal agents. It carries a maximum sentence of eight years in prison. He’s being held without bond as the magistrate considers him a flight risk. His next hearing is set for April 19. 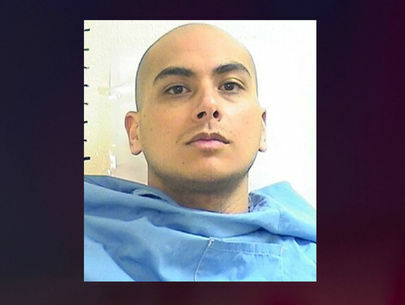 Rini learned about Pitzen’s disappearance from an episode of “20/20,” the indictment said. The episode recently re-aired. 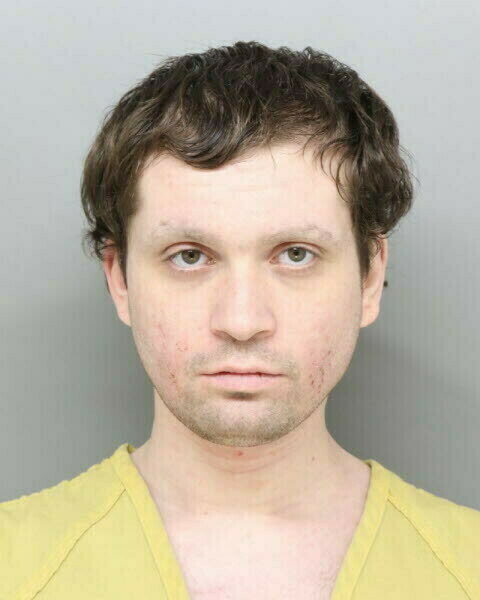 WGN reports the 23-year-old ex-convict accused of pulling a cruel hoax by pretending to be a long-missing Illinois boy was charged Friday with making false statements to federal authorities. This undated photo provided by the Hamilton County Sheriff's Office in Cincinnati shows Brian Rini. 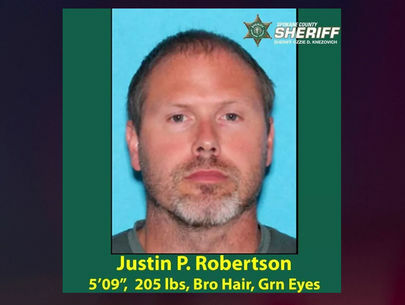 The FBI declared Rini's story a hoax Thursday, April 4, 2019, one day after he identified himself to authorities as Timmothy Pitzen. The Medina, Ohio, man was jailed in Cincinnati on Thursday. Rini was jailed for a bail hearing on Tuesday. Rini could get up to eight years in prison. Authorities were skeptical early on of Rini's claim because he refused to be fingerprinted, though he did agree to a DNA swab. Brunswick Township Police confirm to WJW-TV FOX 8 News in Cleveland that Brian Rini was found guilty in a case where he was accused of throwing a destructive party at a model home in Brunwick Hills Township in 2017. Rini reportedly told neighbors he purchased the home and was planning to throw a big party. He was sentenced to jail time in the case and was just released in March. Police said Rini also has a history of passing bad checks. Rini's brother told FOX 8 News his brother suffers from mental health issues. 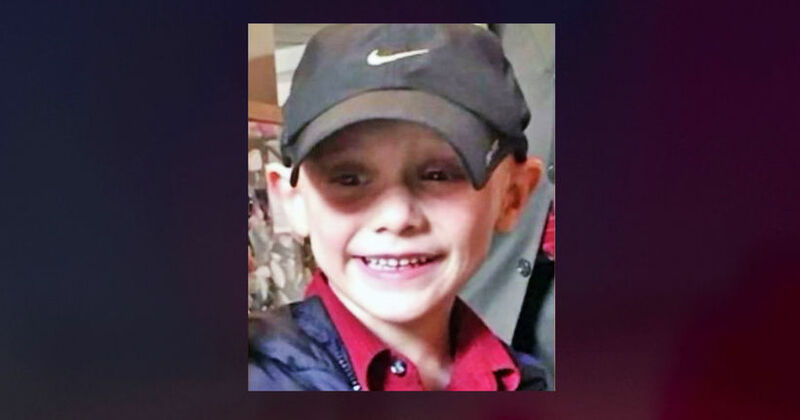 The person who claimed he was missing Aurora boy Timmothy Pitzen was identified as 23-year-old Brian Michael Rini of Medina, Ohio, WGN-TV Reporter Mike Lowe reports. According to authorities, Rini has a history of making false reports. The teen told authorities in Kentucky on Wednesday that he was Pitzen, who disappeared from the Chicago suburb in 2011. The teen said he escaped kidnappers at a Red Roof Inn in the Cincinnati area, and kept running until he ran across a bridge to Newport, Ky. 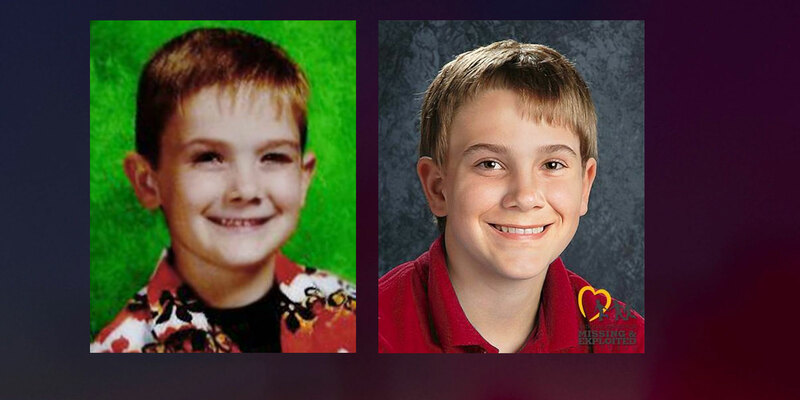 The individual (right) told authorities in Kentucky on Wednesday that he was Timmothy Pitzen (left), who disappeared from the Chicago suburb of Aurora in 2011. The Chicago Tribune reports a teen was preliminarily identified as missing Aurora boy Timmothy Pitzen, who disappeared in 2011, and reportedly escaped two kidnappers who have been holding him hostage for seven years, according to a Sharonville, Ohio, police report filed Wednesday. The report identified the boy as Pitzen, who was last seen at Greenman Elementary School in Aurora on May 11, 2011. A teenage boy who was found by police in Newport said he is Timmothy Pitzen, who disappeared in Illinois seven years ago, Cincinnati.com reports. Police are working to confirm the boy's identity and have not publicly named him. Police in west suburban Aurora are involved in a missing child investigation with federal officials in Cincinnati and Louisville. According to a tweet from FBI officials in Louisville Wednesday, the Aurora Police Department is working with them, FBI officials in Cincinnati, police departments in Cincinnati and Newport, Ky., and the Hamilton County Sheriff’s Office in Ohio, WGN reports. Timmothy Pitzen is the only child currently missing from Aurora, according to the National Center for Missing and Exploited Children, WGN reports. Little Timmothy Pitzen was always the apple of his father's eye. "Get along with everybody, running down the street, always happy, always fun to be around. Always looking for the next adventure," said James Pitzen, Timmothy's father. And now when James Pitzen closes his eyes he can still see his son Timmothy in the car as he drives him to kindergarten early on a spring morning in Aurora, Illinois, on May 11, 2011. "I dropped Timmothy off at school and he hopped out of the back seat and ran off to school," said James. And that's the last he's seen of Timmothy to this day. "And I said 'I love you buddy,' and he said 'I love you too, dad, and I'll see you later,' and I'm like 'OK.' And I watched him run off to class," said James. 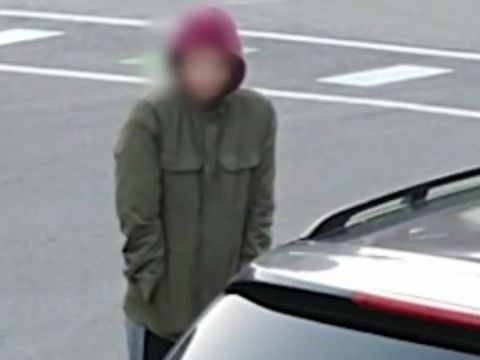 Less than an hour later a surveillance camera captures Timmothy's mother Amy Pitzen as she signs him out of school, claiming a family emergency. It is the beginning of a tragic journey that's ending is still unknown. As James returns to pick up Timmothy after school, he has no idea how bad it is going to get. "I go to pick up Tim from kindergarten to take him to day care," said James Pitzen. "So I pull up in the driveway, up to the school, and his teacher says 'Timmothy left at like 8:30,' and I'm like 'What do you mean he left at 8:30?' I go 'I want to see the log book and who checked my son out of school 'cause I'm supposed to be here.'" Alarmed, James checks back at home and at Amy's job, but there's no sign of his estranged wife or Timmothy. "I called Amy's cellphone a couple times, always went to voicemail," said James. "I said 'Just tell me that you're fine, just call me, what's going on?' I had no idea where they were. I called her mom, I called her dad to see if she'd been there. I was like, 'OK, she's upset at me for some reason so she'll need to cool down.' So the next morning comes around and they're still not home so I call the police department and report Amy and Timmothy missing." Another day passes with James left in the dark. And then a sign of hope. Amy does not contact her husband, but she does check in with her mother. "She said, 'We're fine, we'll be home in a day or two. I just need some time to figure out and try to think about how to approach this,'" said James. Amy also calls James' brother. "I have no idea why she called my brother. He could hear Timmothy in the background playing or hanging out," said James. "'Timmothy is fine. Timmothy belongs to me. Timmothy and I will be fine. Timmothy is safe,'" said James. James admits he and Amy were struggling, but had no idea how much until the mystery unfolds later. At first he figures police will soon find his wife and son, then he can finally sit down with Amy and sort everything out. "I figured everything would be fine and we'd be one big happy family again," said James. And sure enough, three days after their disappearance, there is a knock on his door. It's the police and they definitely have news. They have found Amy Pitzen in nearby Rockford, Illinois. And she is dead -- by her own hand. Now James Pitzen is reeling in shock. "I was in total shock at the time," said James. "They told me where she was found, in a cheap little motel. She had a razorblade knife and she cut herself." Then the other bad news: Little 6-year-old Timmothy was not with his mother, and he is nowhere to be found. Police immediately retrace Amy's journey with Timmothy over those fateful three days. The trail from Aurora leads 30 miles east to the Brookfield Zoo, near Chicago, then north to the Key Lime Cove water resort in Gurnee, and then 160 miles northwest to Kalahari Resorts in Wisconsin, where a surveillance camera captures them checking out after their stay. "Timmothy was following mom," said James Pitzen. "Timmothy was playing with what looked like semi-truck on the floor. Timmothy was happy and didn't seem to have any distress or anything." "She took him to what was probably, certainly the last vacation of their lives together," said Denise Crosby, a columnist with the Aurora Beacon-News. "And you see visuals of him knowing that his mother would soon kill herself and he would disappear. This is what is so haunting about this story." Amy then heads 120 miles south back into Illinois. Another security camera picks her up at a food market near the town of Rockford. She's alone. There is no sign of Timmothy. The very next day a maid finds her lifeless body in a nearby motel room. "She was definitely wrestling with the demons and the demons were winning, and they eventually won," said James. Police discover a shocking suicide note on the table, triggering a mystery that haunts James every day. "She apologized for the mess she created, and that Timmothy was safe with people who loved him and he would never be found," said James. "'Safe with people who loved him and would never be found.'" "She might have been in contact with them for months, I don't know what she could have said to them to get somebody to do that, take a child from the rest of his family," said James. Another note Amy mailed to her mother Alana Anderson is no less confounding. On a phone interview for the Nancy Grace show, Alana reads the letter on air shortly after Amy's suicide. "'I've taken him somewhere safe. He will be well cared for and he says that he loves you. Please know that there is nothing you could have said or done that would have changed my mind,'" Alana Anderson read on the air. Cryptic words that only a dead woman can decipher. "The note to me is probably the saddest part of this whole story because it's almost like she's teasing the family, not giving them closure," said Denise Crosby. "It perhaps is the cruelest part to this, because now they don't know what happened to him. It gives them hope, but yet where has that hope gone?" But it is also known that Amy struggled with depression and had survived at least one suicide attempt in the past, leading to speculation about what might have really happened to Timmothy. "We know that mothers can kill their children, even mothers who loved their children, we know from other stories we've heard," said Denise Crosby. "We can't understand somebody who is struggling with mental illness and what they can or can't do, and it's hard for us to understand that, but I don't think it's out of the realm of possibility." "I've talked to a few people about that, psychologists and stuff like that. All of them have said if she was going to take Timmothy's life, she would have taken Timmothy's life first, then hers, and Timmothy would be in the same room or same vicinity as she was and not take his life and go somewhere else. I can't see her doing that, taking his life. It's just, it's not her." 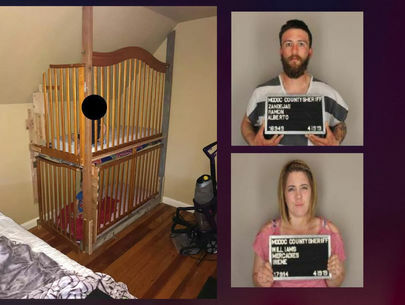 Police know that Amy bought Timmothy's clothes and toys on the road, none of which were ever found. They also know that in the months before her suicide, she made two unexplained driving trips to the same area where Timmothy went missing. "Because Amy drove through the area where he disappeared before, I can only conclude that this was a very pre-planned event, that perhaps gives hope to the family that this really was something that she thought out carefully, including the note she left that said he's safe and with someone who will care for him," said Denise Crosby. An inspection of Amy's SUV by police shows that she had pulled off an unpaved road somewhere on her final journey, backing into a field and leaving grass and dirt under the rear bumper. "It was on a gravel blacktop road. That's where she was. That's where the switch happened," said James. But alarmingly investigators also find dried blood on the backseat of Amy's car. The family says it's a false lead, the result of a nose bleed from Timmothy months before that road trip. But cops conduct an exhaustive search for the boy in some of the remote areas along Amy's long-distance route. "They narrowed it down to a certain geography hoping that that would give them clues, but there was no body found," said Denise Crosby. "Obviously that's what they were looking for, but nothing was ever found in that particular case." And then what seems to be a huge break in the case. Amy's cellphone is found on a roadside and turned in to police. 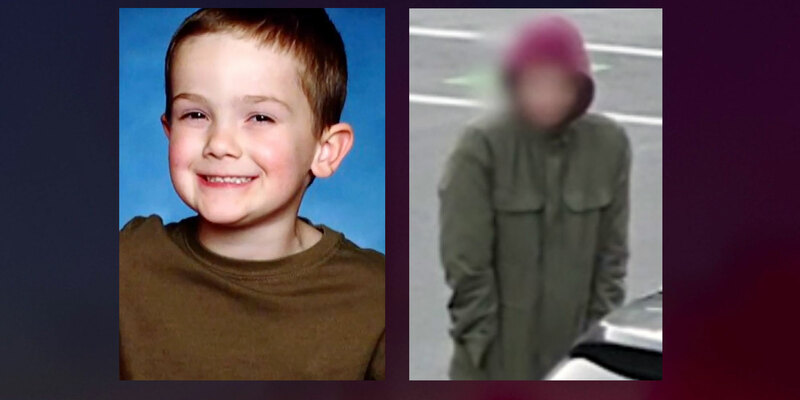 "They were very excited, they really thought this might be the break this case needed to find that little boy, and I know they were very disappointed when after all the information came in off that cellphone, there was nothing there. Not one clue," said Crosby. The questions are many and the answers are few, including why Amy would even consider such a desperate act in the first place. James tells Crime Watch Daily that it's a question that eats away at him all the time. He worries if it was because of a problem in their marriage years prior to Timmothy's disappearance. "A couple years before this happened I caught her texting and emailing her ex-husband. I blew up about that," said James. "I go 'You need to choose on where you want to be. I'll get custody of Tim and you can go do whatever you want. If you want to be with him there's the door. Get your stuff and leave.' She decided to stay." It's now it's been six excruciating years since Timmothy has gone missing. Today he would be 12 years old. A computer-generated age-progression image from the National Center for Missing and Exploited Children was created, and the search for Timmothy Pitzen continues. The Aurora Police Department did not sit down for an interview but they did provide Crime Watch Daily with a statement that reads in part: "Although we have not been successful in locating him to date, our resolve to bring Timmothy home to his family remains undeterred." And James Pitzen, along with all who knew Amy best, insist she would never harm Timmothy under any circumstances. "I know he's alive. He's alive somewhere," said James. "Amy would never do anything to hurt Timmothy. Timmothy was like her little prince." James continues to hope that someday soon he will get another knock on the door, this time with the best news of his life. "Every day I get up and check my phone and wait for the detectives to say 'Hey, we found Timmothy here,'" said James Pitzen. "It's going to be a glorious day when he comes home. Just can't wait. It's going to be happy. I'm going to cry a lot. I'm going to cry a lot when he comes home." Anyone with information about this case is urged to contact the Aurora Police Department at (630) 256-5500.